To cancel a legacy plan (e.g. the Team Plan) navigate to your dashboard and click on the “…” next to your site name. 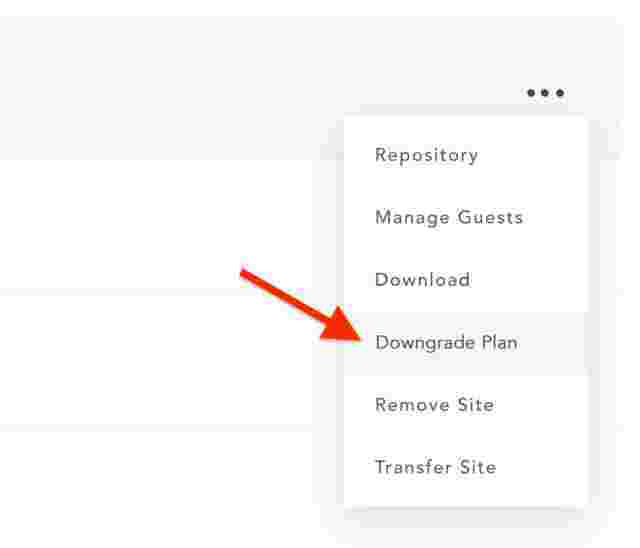 From there, select “Downgrade Plan” in the dropdown. Please read the warning carefully and if you’re certain you want take this action please click on “Downgrade”.